Health magazine ranks America's healthiest grocery store chains like Whole Foods, Harris Teeter, and Trader Joe's. Let’s face it: Your weekly (or daily!) run to the grocery store is the foundation for your good health. So it’s thrilling news that the supermarket industry is on a health kick—these days you’ll likely find organic produce and “natural” packaged foods at almost any store you go to. But which chains are outdoing themselves to deliver the freshest and healthiest foods to you? And which ones provide the best tools to help you make smart choices? We asked six prominent health experts (meet our judges) to help us pick the top 10 healthiest grocery stores out of the nation’s largest chains. Here are the true standouts. Happy, healthy shopping! We figured this natural-foods chain would make the list, but who knew it would hands-down top it? “It’s the Rolls Royce of healthy eating,” says Kate Geagan, a nutritionist in Park City, Utah, and one of our judges. Whole Foods has the whole packagefrom an extraordinary selection of fresh conventional and organic fruit and vegetables to delicious prepared foods with healthy ingredients and clear labeling. (Most other stores offer mystery meals that may very well be loaded with butter.) And Whole Foods puts a premium on products that are grown or produced locally (read: superfresh). Safeway is the traditional grocer you’re familiar with, but look closer and you’ll see a huge transformation going on. “They now have their own organic brands and a section of locally grown produce,” says judge Lisa Pawloski, PhD, chair of the department of global and community health at George Mason University in Fairfax, Virginia. Besides those organic brandsO Organics for packaged goods (the biggest organic brand in the country) and Eating Right for prepared foodsmany of the chain’s redesigned stores have a greatly expanded produce section. This grocer boasts 600 varieties of fruit and veggies, with a good selection of organic and locally grown items, as well as hard-to-find nonfarm-raised seafood. But what catapulted it to third place is its breadth of healthy shopping tools. Harris Teeter’s YourWellness For Life program, which was originally created to help employees choose the most nutritious foods, became available to customers in 2006. Part of that initiative is shelf tags that clearly show the nutrients in various foods (an “excellent source of fiber” label means the item contains 20% or more of the recommended daily intake; a “good source of fiber” lets you know there’s between 10% and 19% of the RDI). Plus, a Green Thumb Expert at every store gives hints on choosing and preparing produce. 300-plus stores in 23 states and Washington, D.C.
Shopping at Trader Joe’s is more like going to a specialty-foods store than a chain groceryou’ll find healthy foods from around the world, all at surprisingly reasonable prices. What you won’t find: bad-for-you mainstream brands. The store’s impressive and delicious store-brand foods contain no artificial flavors, colors, or preservatives, and no MSG, trans fats or genetically modified ingredients. “My daughter loves their Omega Trek Mix With Omega-Fortified Cranberries, and now I do, too!” Palumbo says. Pawloski is just as excited about their organic prepared meals. There are fun healthy surprises, too: instead of sugary cereals, they have good-news alternatives, like fruit-and nut-packed Triple Berry O’s. 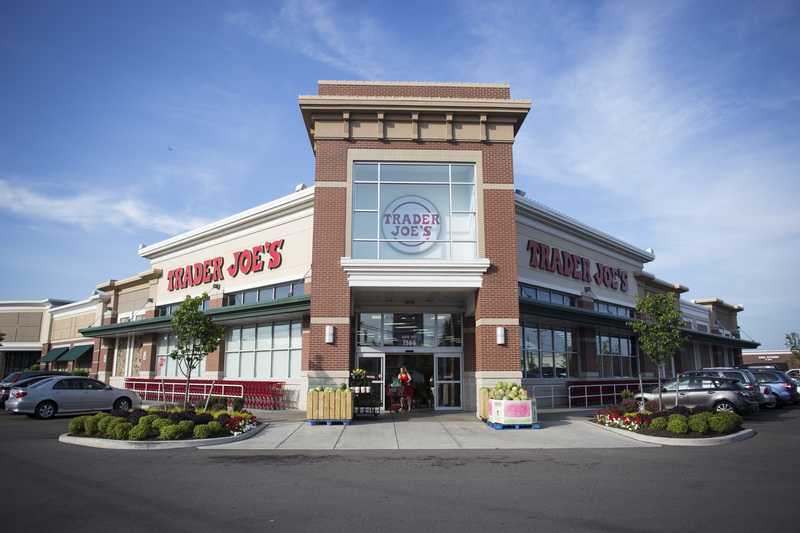 Why didn’t Trader Joe’s rank higher? The limited selection in most of its stores. This chain is relatively small, but Whole Foods should look outHannaford is the largest certified-organic supermarket in the region, and in the past two years it has boosted its produce selection to provide more than 50 local and organic products from 200 farms close by. “It’s an impressive amount of local produce, which is not that easy in temperate New England,” Geagan notes. But Hannaford’s commitment to healthy foods doesn’t stop there. Its Guiding Stars nutrition-label program makes it a snap to pick out the healthiest fresh and packaged fare: You’ll find one, two, or three starswith three stars indicating the highest nutritional valueon nearly every item in the store. That means you don’t have to pore over the labels to decide which loaf of bread to buy. Organic food can be expensive, but Albertsons’s house brand, Wild Harvest, typically costs 15% less than name-brand organic products. All Wild Harvest itemsincluding whole wheat pastas, soy milk, cereals, meats, and poultryeschew artificial preservatives, colorings, sweeteners, and flavorings; hydrogenated and cottonseed oils; and phosphates and chlorine. Our judges loved the chain’s Healthy Eaters program, which lets kids tour the store with a registered dietitian. And this month, Albertsons introduces the Nutrition iQ program, which uses simple color-coded labels to highlight nutritional benefits. This megachain is owned by the same company as Hannaford and has taken some healthy cues from its smaller sister: It stocks organic fruits and vegetables (though not as many local items as the top chains), has its own natural-foods brand, Nature’s Place, and also uses the Guiding Stars nutrition-labeling system. But it’s Food Lion’s boutique offshoot, Bloom (61 stores in North Carolina, South Carolina, Maryland, and Virginia), that’s leading the way for the entire chain. “Their produce is fresh and smells wonderful,” Pawloski says. Bloom also boasts kiosks that provide nutrition info and healthy recipes that can be printed in-store. Publix scores high for making healthy eating a family affair. Pregnant moms can sign up for the Publix Baby Club and receive coupons and a news­letter about infants’ developing needs. The Preschool Pals program for 2- to 4-year-olds provides kids with fun free CD-ROMs and emails that teach nutrition and safety. And its free FamilyStyle magazine has simple tips on cooking family dinners fast. The store’s own brand, GreenWise, features fresh and packaged natural and organic foods. And like Food Lion, Publix has launched an offshoot store that focuses on natural and organic foodsPublix GreenWise Market (currently only in Florida). Our judges also couldn’t stop talking about Publix’s At Season’s Peak program, which points customers to the produce that’s most in season. “It helps shoppers choose food when it’s freshest and most nutritious,” says panelist Frances Largeman-Roth, Health’s senior food and nutrition editor. Pathmark doesn’t make a big deal out of its commitment to buying from area farms and producers, but it is in fact the largest retailer of locally grown produce in the Northeast, stocking area finds like Long Island corn on the cob. It also provides a welcome incentive to eat right: The company’s Live Better! Wellness Club includes discounts of up to 15% on fresh-cut fruit and veggies. And if you never know what the heck to make for dinner, here is a perk you’ll appreciate: You can go online and get creative and healthy menu ideas, courtesy of Pathmark’s resident registered dietitian, Jacqueline Gomes. Tar-jay, a healthy grocer? Yep. These Targets with minimarkets offer good-news brands like Kashi, Quaker, Sahala Snacks, and Barbara’s, plus a limited amount of organic dairy items and produce. And you’ll also find inexpensive, high-quality house brands like Market Pantry (cooking staples, etc.) and the trans fat–free Archer Farms (which includes baked goods, appetizers, and snacks)and this makes it easier for shoppers to stock up for less.